Design and Garden Landscapes is in the business of providing beautiful gardens and outdoor living areas that match or surpass our customer’s dreams. The look on our customers faces when we have been successful says it all. We have been in business now for over 25 years. It’s been a long journey and we have figured out a winning formula for keeping our customer happy and creating quality every time. The goal for us has always been to blend beauty, function and quality in all of our work. We soon realised that in order to retain control of our projects from start to finish, we would need to keep all of the services in-house. Design & Garden Landscapes became one of the first professional Otago landscape firms to provide a full in-house service. Today our team boasts qualified specialists in design, planting, construction and maintenance, producing quality every step of the way. Our team work closely together and each team member is briefed on the whole project as well as the task they are personally responsible for. You can be confident that you won’t be surprised by the arrival of a cowboy/subcontractor on your doorstep (who has little understanding of the overall project, let alone what they are doing). Design and Garden Landscapes is an accredited member of REGISTERED MASTER LANDSCAPERS, (Our industry organisation) who host a bi-annual National awards programme. The company has entered these awards since 2002, and has picked up awards every time since then with creative design and industry leading construction, including the National Award of LANDSCAPE OF THE YEAR for 2010 and 2014. • A company with 25+ years of experience in designing and building award winning gardens. • Innovative and Creative with fresh ideas. • We aim to meet and exceed your expectations. Accredited Member of Registered Master Landscapers. Arguably, the consultation is the most important part of our process. This stage is primarily all about us listening to your dreams and assessing your needs. A member of our qualified design team will visit you, assess the site and then offer professional advice around your vision and brief. Our job is to look at the site with a fresh set of eyes and come up with clever and creative ideas or solutions that you may not have considered. 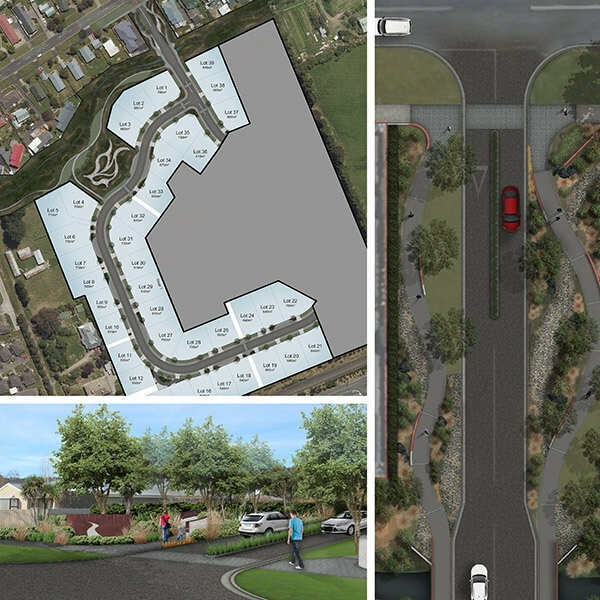 We have a team of Landscape Architects and Designers who will tailor a design just for you. 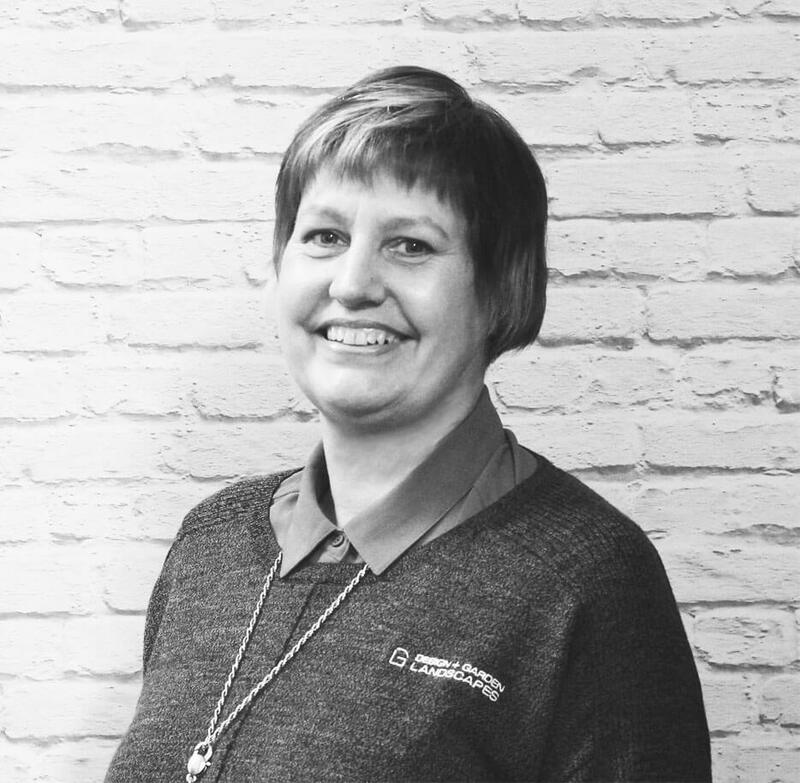 Our team like to keep things fluid at this stage we find this creates plans which not only meet our client’s needs but exceeds their expectations. Good design is important in achieving the end goal in the best way possible. Not only in the visual result but for ease of future maintenance and assisting the construction team in a practical way. 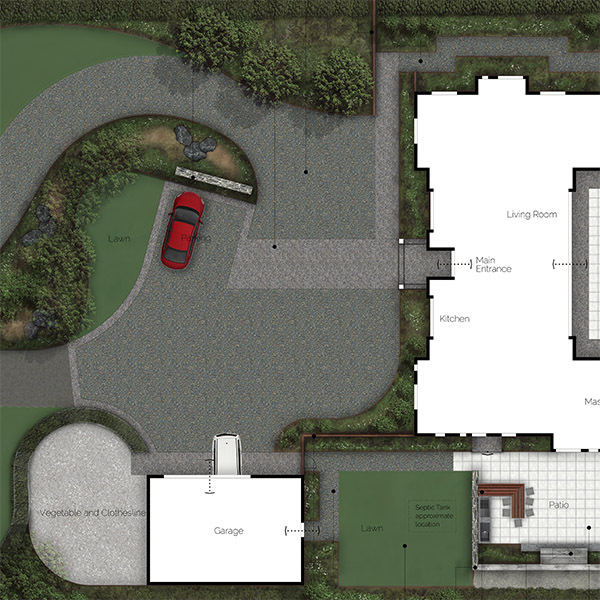 This is the initial planning stage where we produce concept designs based on the results of the consultation visit. This plan is flexible and invites you to have as much input as possible. After your input we will create a beautifully rendered hard copy for your coffee table and we can normally use this plan to proceed to the next stage, construction. Some complex projects may require permits or consent. 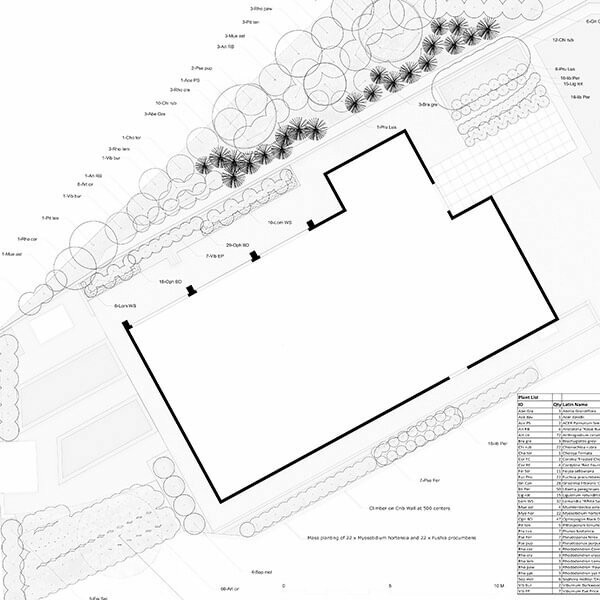 These projects will require more detailed specifications, working drawings or reports. We have all the facilities and qualified staff to provide these plans, when required. 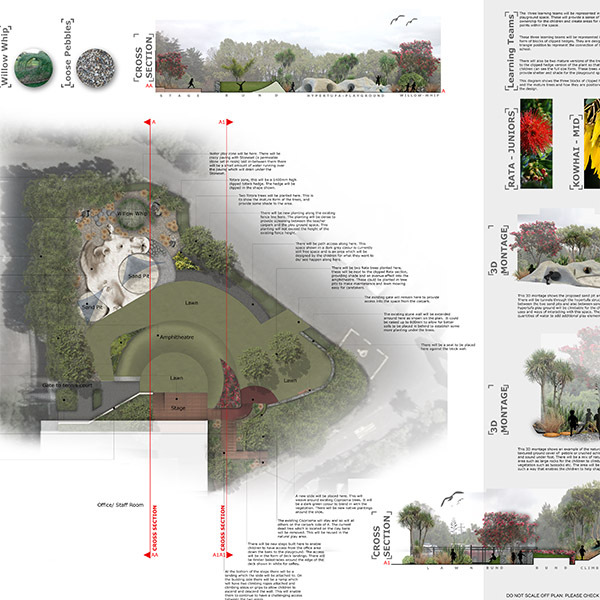 Planting design is equally as important as conceptual design. 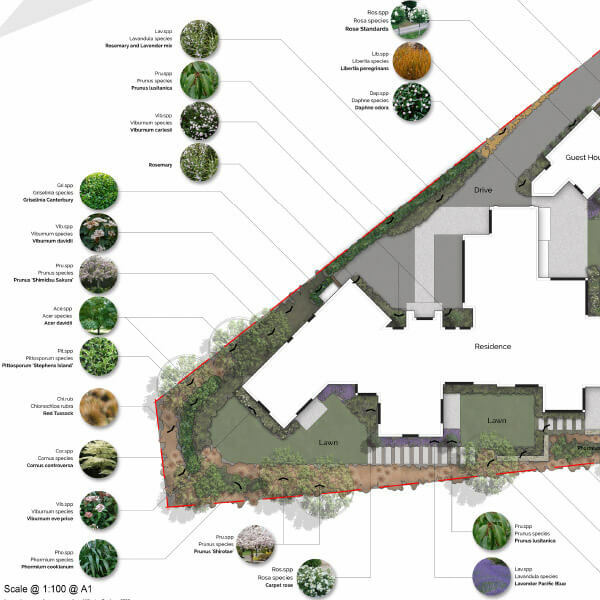 These plans show exactly where each plant should be planted what kind of plant and how many. Our designers are experts in choosing the right plants for you and your space. The construction of your project will involve implementing your design whether its decking, paving, water features, paths, walls, screens, lawns, lighting, sculpture, or many other elements that make up your garden. We have skilled tradesmen and pride ourselves in using quality materials to create your outdoor space. We also have staff with a background in horticulture on board, and testimony to this is our planting awards in the horticulture category in the REGISTERED MASTER LANDSCAPERS National awards programme. Wayne founded design and garden landscapes in 1991. 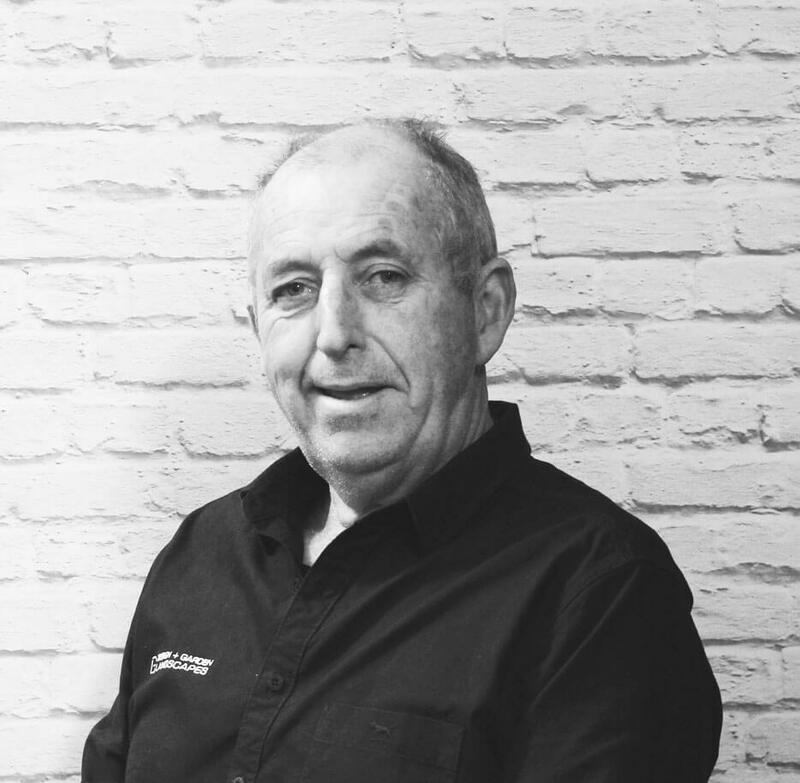 With a background in horticulture and his love of plants, combined with over 30 years’ experience in the landscape industry, allows him and his skilled team to create truly outstanding award winning gardens. 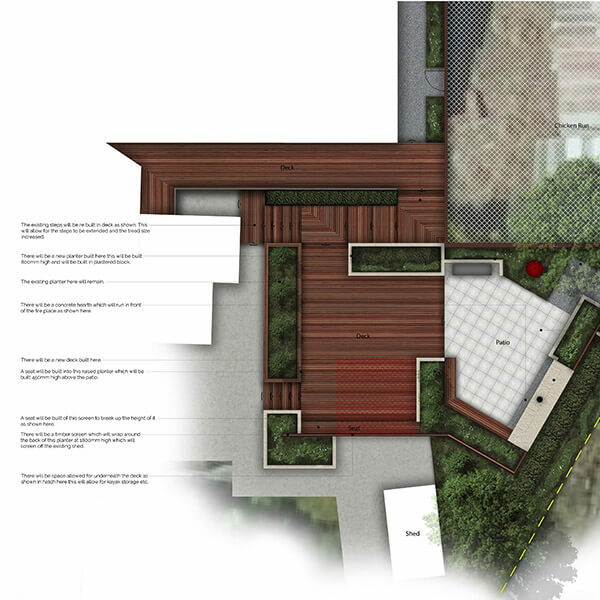 Began working for Design + Garden Landscapes full time in 2014. Before that Ella provided a supporting roll for the company since its beginnings. Ella’s day involves organising Wayne and ensuring all office systems are operating smoothly. Ella’s previous experience involved office administration for large international/ National Companies. 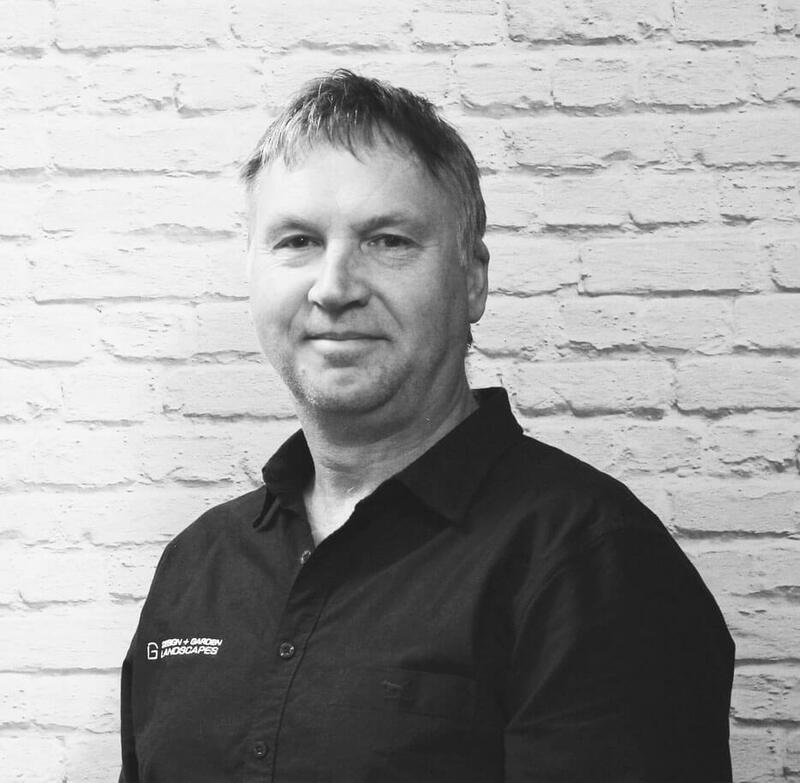 Paul has been with Design + Garden Landscapes since 1997 his roll involves training and organising our construction teams, pricing construction jobs. Paul’s 20 years of experience with the company is invaluable. He has constructed many award winning gardens over his time with Design + Garden Landscapes. His knowledge and expertise in construction is what ensures every job is undertaken with utmost care and a smile. Pauls patience enables younger/ newer staff members to up-skill and embrace the profession. Chris is the newest member in our design team starting in 2017. He is a graduate landscape architect and brings his knowledge and creative ability in designing some outstanding gardens. He has great drawing skills allowing the design to come to life. 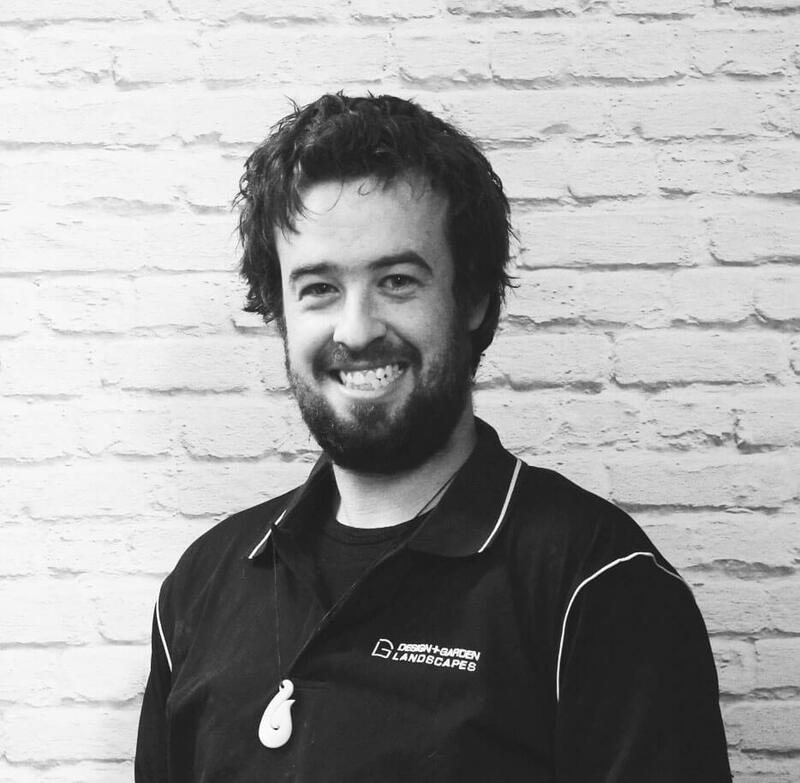 Grant has been with Design + Garden Landscapes since 2002. 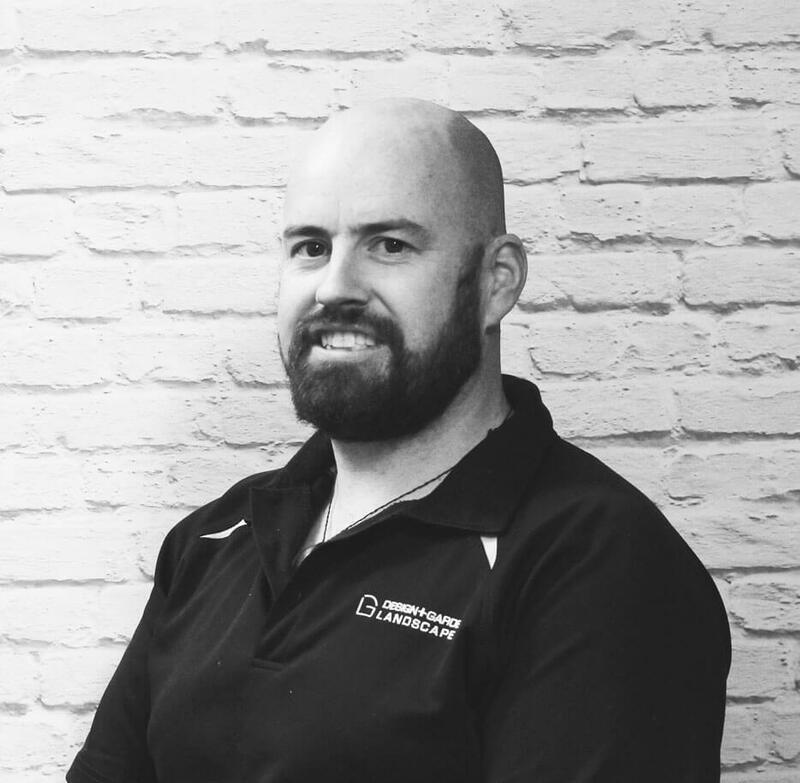 His job involves running and constructing hard landscape Jobs, Grant is also an estimator for Design and Garden Landscapes. Grant’s passion for construction shows in his work. He is not only a hard worker but perfectionist when it comes to your outdoor space. Over the past 15 years this expertise and skill has been recognised not only through the awards programme but clients are thrilled with the finish of their jobs. 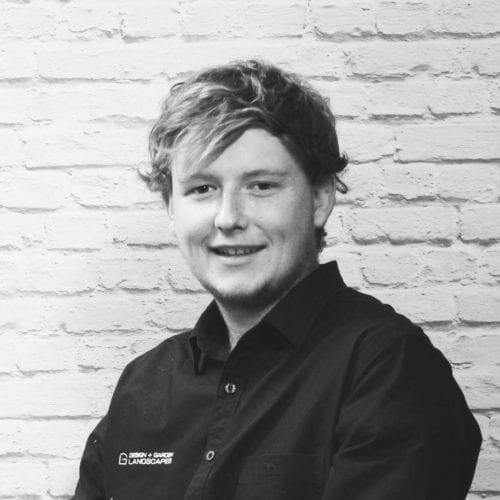 Grant is a key member of the team at Design + Garden Landscapes, sharing his knowledge with other staff. 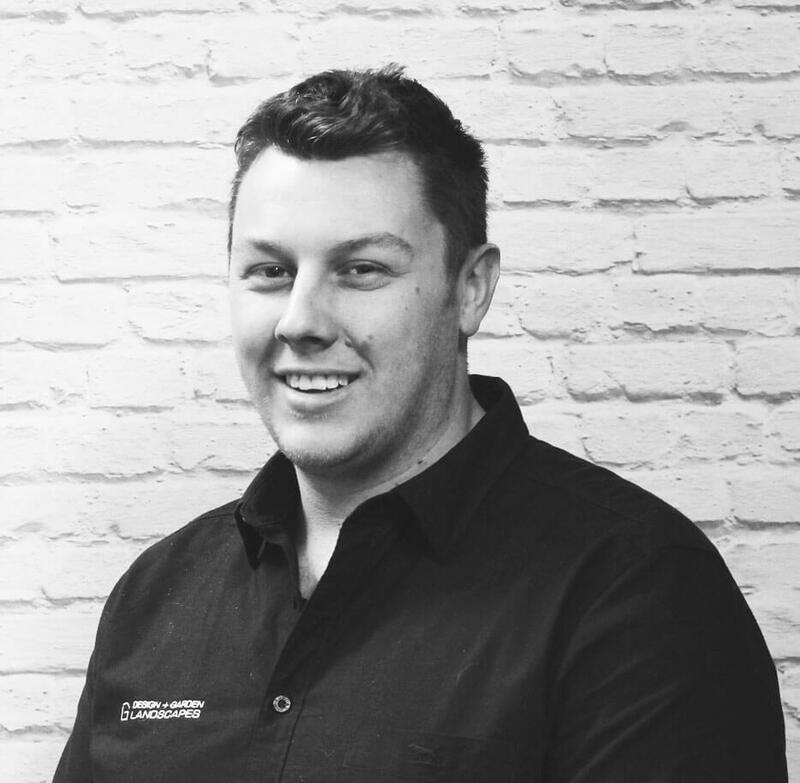 Since starting at design and garden landscapes in 2015 after working the landscape industry for some years, Brendan has brought his skills into a Forman’s role. Brendan’s passion for detail and doing the very best for clients, allows him to put together a team that creates some great gardens. Bryce is part of our construction team, starting in 2015 he has taken to this like a duck to water, and is keen on the construction elements of our garden builds. 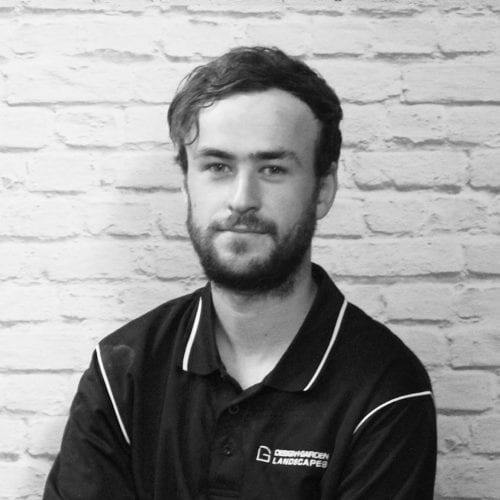 Aaron is the newest member of the team, has recently joined our construction team and has worked in the landscape industry for a while. He is looking forward to using his skills to create great gardens for our clients.